AbRam the third and the youngest kid of SRK and Gauri has been always in news for various things. Mostly for his innocence and his cute activities he keeps on doing with them before the media catches him doing so. His day out with his parents too has become the news that gave the media to click enough of his photos with his mom and dad. 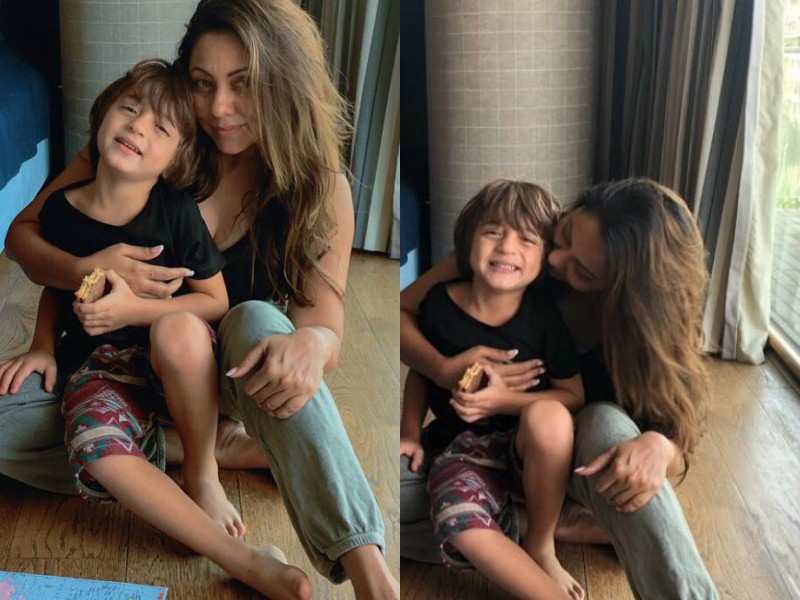 It was Gauri’s birthday when she celebrated her 45th Big Day with her lovely husband and kids. At this juncture, SRK was quick to catch a selfie with her and AbRam and shared at the social media that went viral in the media. AbRam look cool and innocent while clicking the picture with her parents. 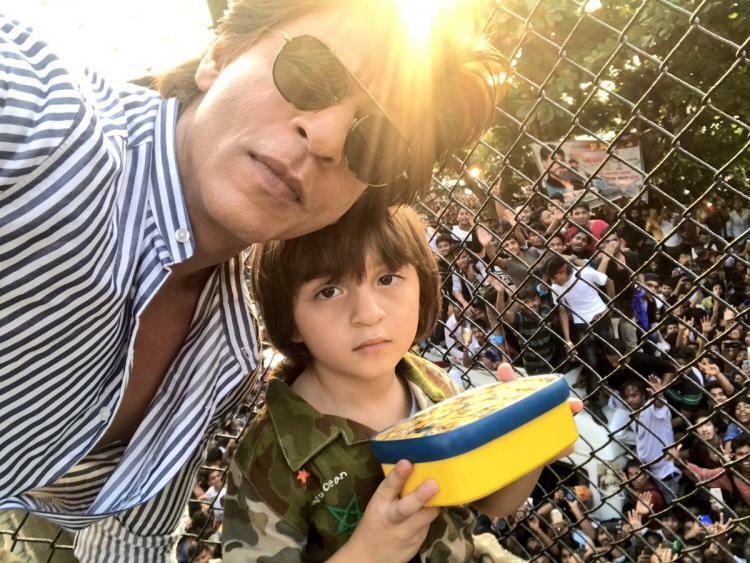 When the country was celebrating the Dahi Handi, papa Shah Rukh Khan took the toddler over the terrace of Mannat to show the Dahi Handi happening close to his place. The kid was high in his enthu when he started enjoying water guns and soon we saw his father sharing the picture on the eve of Rakshabandhan when Suhana had something to tye over his tender and tiny hand. His picture of playing with some cooking stuff in his room went very much viral when he was seen making cake with his cool toys. In fact, he is the first celebrity kid who is so friendly with the media that he gives cool pics to them that turns instant hit in Social Media and other places. When AbRam turned five, his mother, went on to share her son’s picture over the media. He looked cool with his mother while her mother shared the picture greeting his son over the social media platforms and soon it turned viral all over the world. This was shared during the birthday of Suhana. 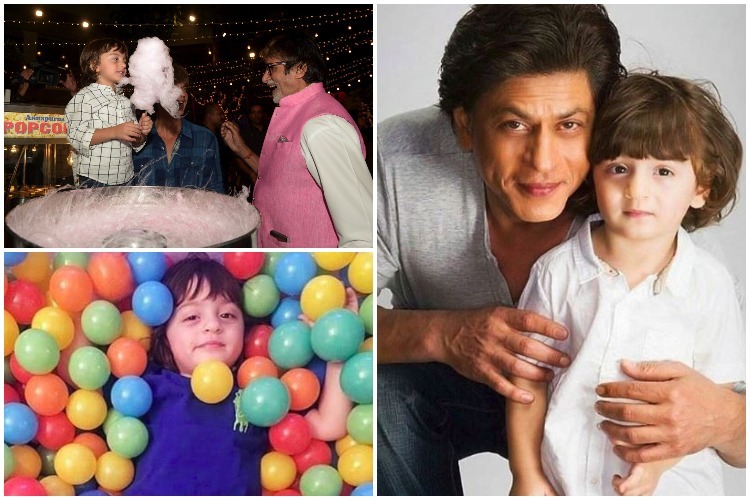 AbRam as said is a cute media friendly celebrity kid who simply enjoys to have fun and enjoyment with them. His every action caught on camera turns viral as it comes to the social media.